Bathed in a laconic humanity and blessed with a universal veracity, the friendship bond explored in Truman is touching to say the least. 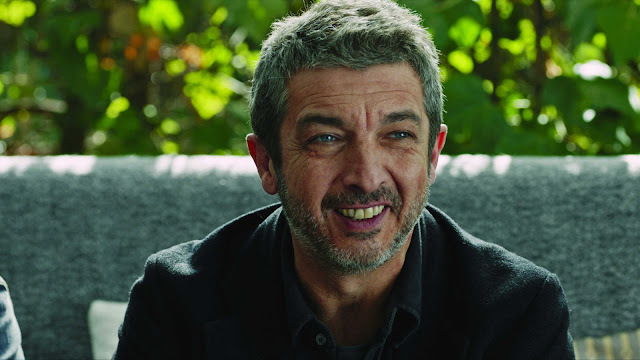 It's the story of Julian (Ricardo Darin) and Tomas (Javier Camara)- long time best friends and who live in different countries. At the start, Tomas leaves Canada to go see Julian in Spain because of his friend's terminal diagnosis. Whereas the desire with films of this ilk is to dwell on the maudlin and drown in the mawkish, Truman's 4 day trip feels more truthful in its execution and consequently more uplifting because of its honesty. There are layered performances from the personable leads here, and both add to the film's sense of dignity and class throughout. As the catalyst for the reconnection of the two friends simmers, the light that one fires up in the other is easy to understand. While Julian wonders what will become of his pooch, the titular Truman, and tries to get him adopted, his friend offers the kind of support and the sturdy shoulder to rely on that many of us would hope for in a similar situation. But as the tale plays out, the bond is evident and the general underplaying works wonders to engage with the duo. There's a playful dry humour running through but never at the expense of the protagonists or situation as it unfurls. However, it's the empathy of the film and the natural low key performance of the actors within that proves to be the winning factor in Truman (even if Tomas' actions at the end make him a little reprehensible). Truman offers a surprisingly successful low key buddy flick that resonates; it's a film that works the understated to great beneficial effect and its touching nature may stay with you long after the lights have gone up.